BeenThere-DoneThat: Conwy, Caernarfonshire (Gwynedd), North Wales. 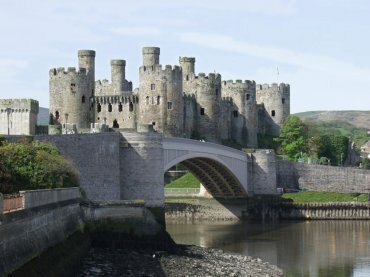 Conwy Castle, a World Heritage Site, was constructed by the English monarch Edward I between 1283 and 1289. It has eight huge round impressive towers which give the castle a commanding presence. The views from the battlements look out across mountains and sea and down to the shell of the 125ft Great Hall. However anyone who suffers from vertigo may find the tops of the 4 taller towers rather daunting. This castle is just part of the medieval town's fortifications which include the town's walls with no less than 22 towers. No this isn't the castle but the town walls seen from the outside! The top of this section of the wall is accessible to the public and visitors can explore over three-quarters of a mile of ancient town walls including 22 towers and three original gateways. 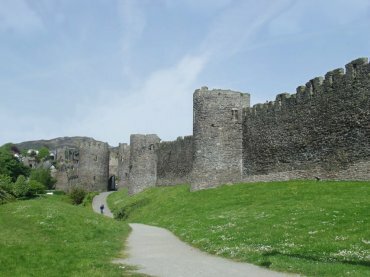 With its castle and complete town walls, Conwy is one of the best examples of a medieval walled town in the whole of Europe. We have been to Conwy a number of times and on our last visit we stayed at The Groes Inn. 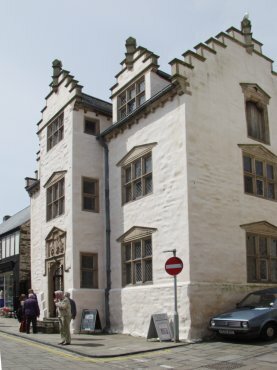 In the centre of Conwy is Plas Mawr, the "Great Hall", built in the late 16th Century for wealthy merchant Robert Wynn and is on the corner of High Street and Crown Lane. This building is the finest Elizabethan town house in Britain. It is open to the public and, at first, may not appear to be very large. However if you look up Crown Lane alongside you will see that it stretches back a long way. 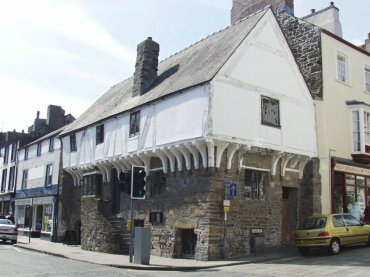 This is a 14th Century merchant's house and is the only house in Conwy to have survived from that period. It is on the corner of Castle Street and High Street and is open to the public.